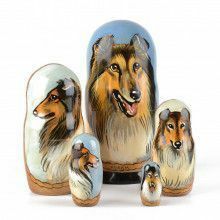 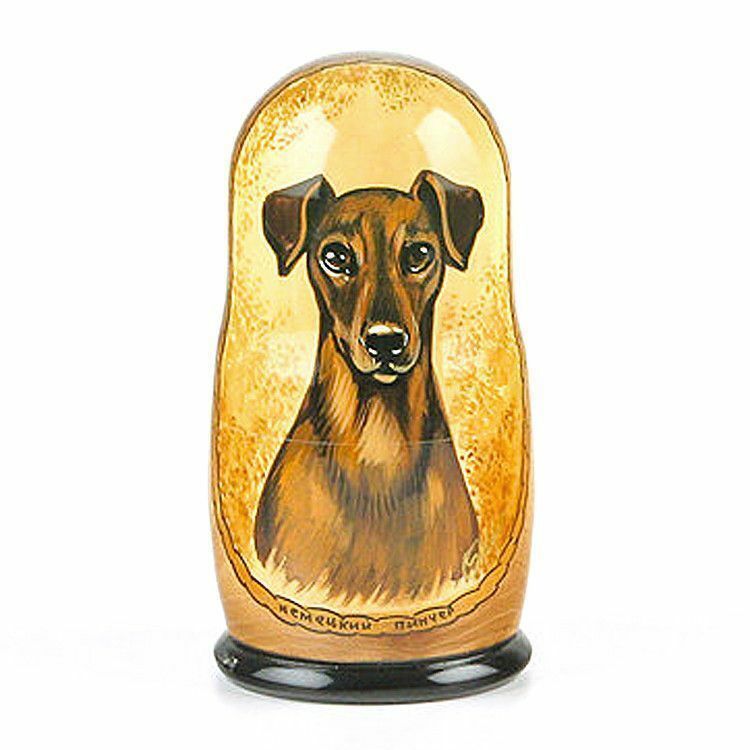 This beautiful, hand-crafted and hand-lacquered German Pinscher Nesting Doll is really a charming piece of folk art. 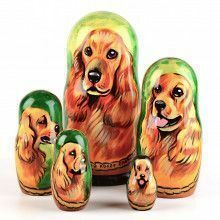 Great for dog lovers, particularly owners of this breed. 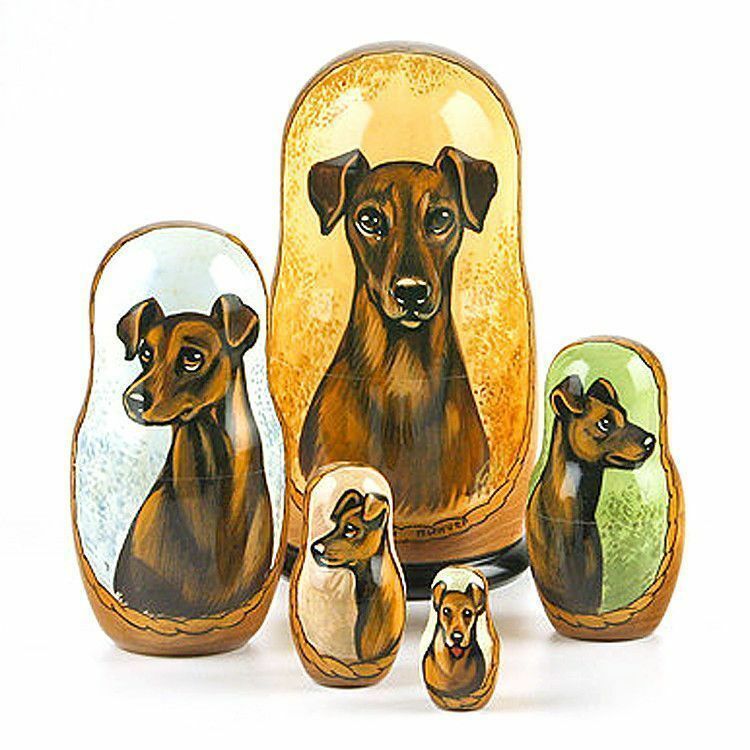 This doll includes five pieces, each with a different portrait of a German Pinshcer doggy. 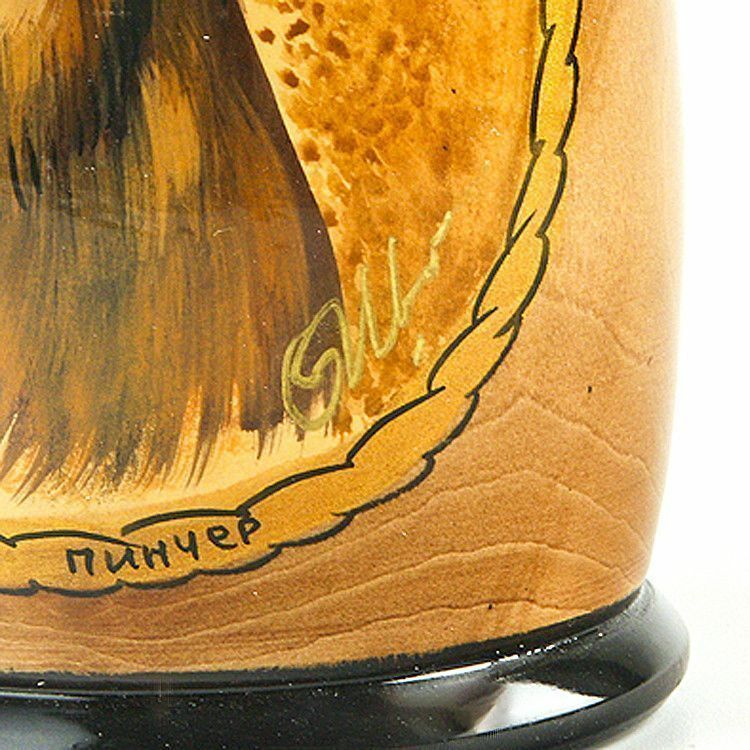 The doll is signed by the artist. 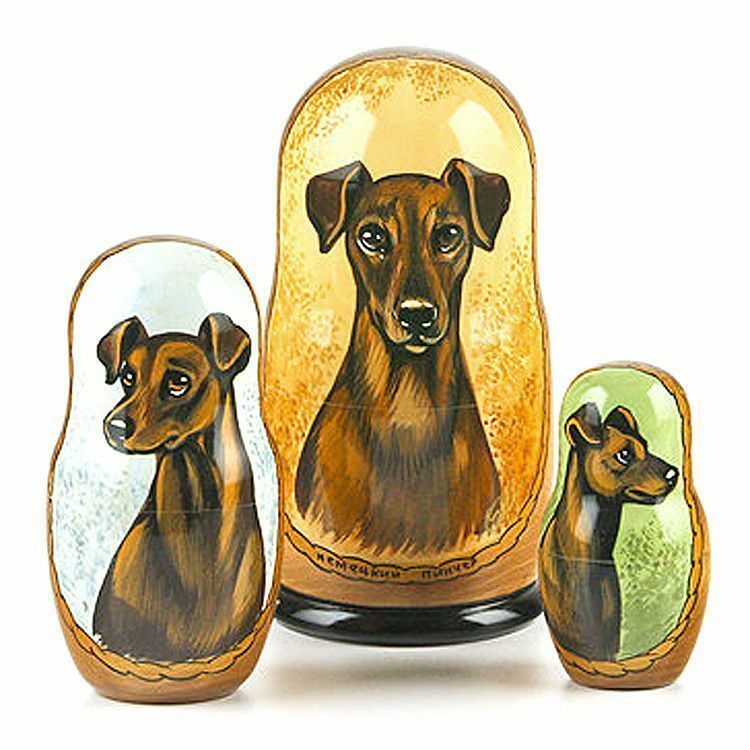 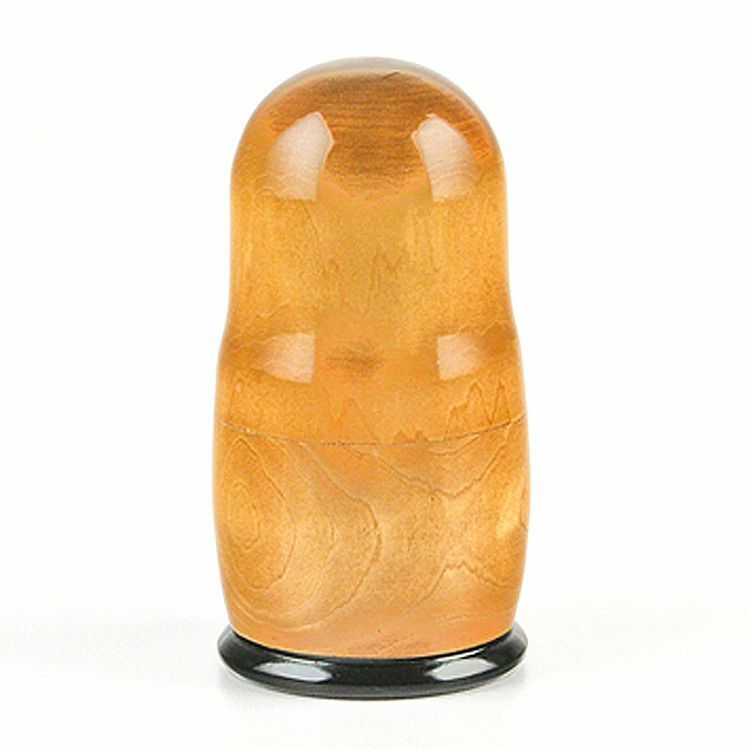 Nesting dolls have been popular as both as a piece of art, and as a charming toy for over a hundred years, there timeless appeal makes them the perfect unique gift for friends, or loved ones.